Silvana McLean RSW, who was elected an RSW (the Royal Scottish Society of Painters in Watercolour) member last year, lives in Moniaive and trained at Glasgow School of Art. This year one of Silvana's paintings, which is currently on show at the RSW 137th Annual Open Exhibition, has won the £250 May Marshall Brown Award. 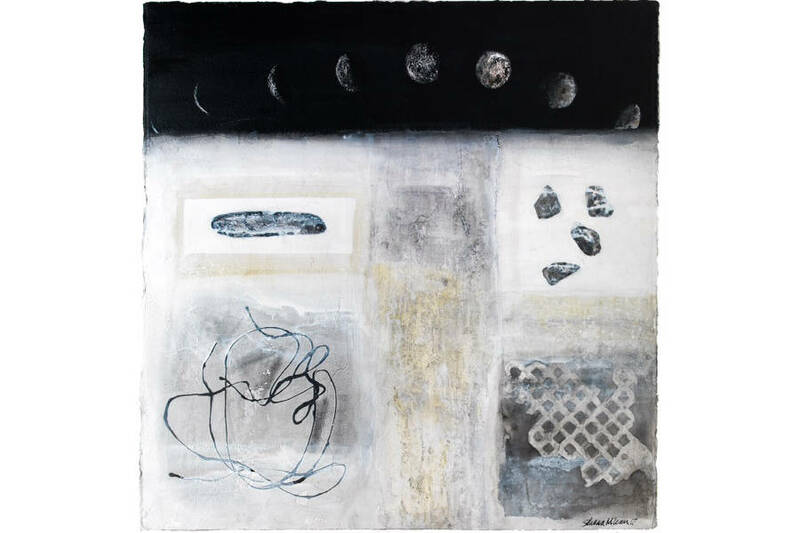 The painting, 'Snow Archaeology - Lunar Month', was inspired by a residency in Siglufjordur, North Iceland and the transition of winter into spring and objects re-emerging through the melted snow. The exhibition runs from 5th February -8th March.